Reflexology is an ancient holistic therapy that is used to treat the person as a whole rather than just relieving particular symptoms, it encourages the body to heal itself. Treatments aim to focus on the root of a problem by clearing internal blockages in body systems, encouraging toxin release and help to restore your body's health and natural balance. Results of treatments work on an individual basis and results vary from client to client. Effects of this therapy on medical problems are dependent on the severity of presenting conditions and symptoms. What's certain is that immediately after the 1st treatment, Reflexology will leave you feeling calmer and more positive. I support couples with conception issues, including those with unexplained fertility, miscarriage, endometriosis and PCOS, and those women taking fertility medication such as Clomid and Metformin. Reflexology treatments provide relaxation and relief from the stress of conception in a calm, caring environment, helping to balance the body and assisting couples to prepare for and work through the journey of trying for a baby. 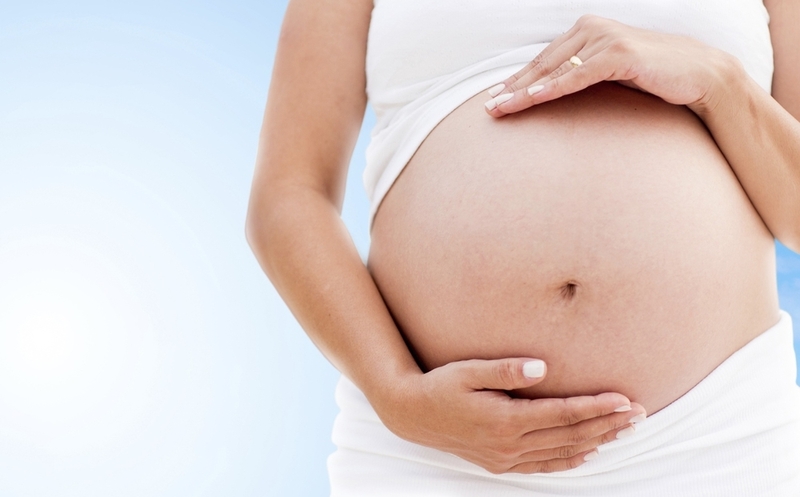 Pregnancy has a profound effect on our bodies and our lives. I support women through their 2nd, 3rd Trimester and preparation for labour with calming, relaxing and de-stressing Reflexology treatments that help balance both your mind and body, and your unborn baby as a direct result, helping prepare and optimise positive thoughts for the birth ahead. As the body copes with all the changes that take place, Reflexology can be a comforting, beneficial support for common pregnancy ailments such as back aches and pains, digestive issues, tiredness, sickness, dizziness and fluid retention. Many new mums also find Reflexology helpful in the first few days and weeks after labour, to help care for and support low mood, lactation, digestion, aches and pains and encourage the body to get back to it's natural, healthy state. Experience a deeper sense of relaxation, soothing and well being from combining warm and cool stone techniques with your Reflexology treatment. Gentle, slow moving pressure techniques with warm stones aid relaxation, circulation, are very nurturing and de-stressing while the cool stones will help reduce inflammation and pain, boost the immune system and aid lymph drainage. RLD is a specific way of performing Reflexology, using specialist moves that target the lymphatic system in particular. Suitable for all ages, from babies to the elderly, Reflexology can bring relief to many health conditions and disorders. It is felt that Reflexology can be particularly beneficial to those with hormonal imbalances and digestive issues. Reflexologists do not diagnose or cure. As with all complimentary therapies, Reflexology works alongside the conventional healthcare system and allows us to take some responsibility for our own health and well being, leaving us rewarded and fulfilled. If you have an existing condition that is being managed by a GP or medical professional, please consult them prior to receiving a Reflexology treatment. Reflexology should not be regarded as an alternative to seeking professional medical advice. Please allow 1 hour for a treatment. The session includes the warming up of both feet, full routine then finishing with a foot massage using a nourishing oil and home care advice. For those who are new to my Reflexology treatments, the first visit will be 1 hour 15 minutes. This allows time to first discuss your health history and lifestyle and provide you with an explanation of what treatments entail, in order to tailor the treatment to your individual needs. All information you provide me will be treated in the strictest confidence. Treatments are generally shorter for elderly clients as well as babies and young children. The treatment takes place while fully dressed and on bare feet, on a Relaxation Couch or a Recliner Chair in a warm, light room. Pressure is applied to the feet using a variety of specialist moves and you should leave feeling calm and relaxed. Treatment is not painful and I promise it will not tickle! Should it not be possible to apply treatments to certain areas of the feet because of pain, illness or health condition for example, then techniques can be applied effectively to the hands instead. The number of treatments recommended depends on the individual and their specific needs. It is common to have regular, weekly treatments initially (4-5 is ideal) until the body gets into the flow of balancing itself, then moving to fortnightly or monthly for a top up and to maintain the body's natural healing process. As a general rule, I recommend new clients to book a course of 4-6 treatments. You can take advantage of a special offer when pre-paying for a series of treatments. Book and pay for 5, and you will get the 6th Free. Some clients don't always have a health condition they'd like help with, they simply see Reflexology as their opportunity for some much needed 'time out', and come to relax and unwind as often as they can fit into their busy schedules. Whatever fits your needs, Reflexology sessions are beneficial in maintaining health and well being too. Are there any situations when I should not have a Reflexology treatment? You should not have a treatment if you are feeling unwell with a high temperature or have flu-like aches and pains. However, current medical issues will be discussed prior to all treatments to assess suitability as some medical conditions are 'contraindicated', where treatment should be avoided. And get a regular serving of Reflexology and health and well being wisdom, plus EXCLUSIVE Treatment Offers by signing up here. We respect your privacy and you have our assurance that we will not divulge your details to any other parties.